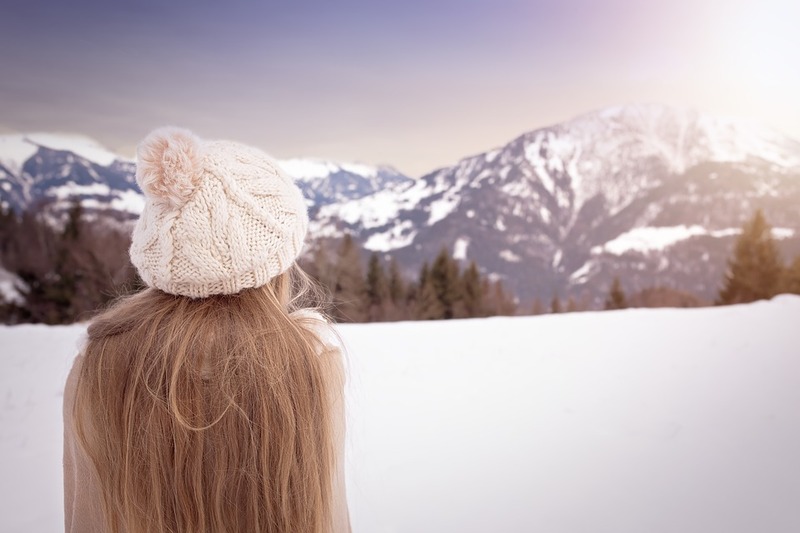 Winter season can wreak havoc on our hair, especially if you live more in more colder and harsher climates. This means that during this time, you really have to pay closer attention and give your hair a bit more loving attention than the rest of the year. The cold, dry heating indoors, the strong winds, and hair static are just some of the things we’ve got to contend with from December to March every year. We’re almost out of winter (hooray! ), but we’ve still got another month to go at the time of writing this article. But just as we know the sun will rise and set tomorrow, winter comes around every year to do its damage, so these tips are good for more than just a year. These tips below are what you should consistently do every year to make sure your hair is always in great shape and doesn’t get damaged. So how can you protect your hair and maintain it in top condition throughout the winter months? Here I have compiled a few tips for your winter hair care that’ll keep your hair looking lovely throughout the year. Washing your hair too often with harsh chemical detergents will take away all the essential oils that keep your hair healthy and looking good. Couple this with dry heat indoors, the problems become even worse. I’d recommend that you reduce the number of washes each week if possible. I try to wash my hair just twice a week, and normally that’s fine. If I’m exercising or more active than normal, then sometimes I’ll have to wash it three times per week. Also, try to look for shampoos which are less harsh. Avoid shampoos which overly dry the hair by choosing a sulfate-free shampoo. 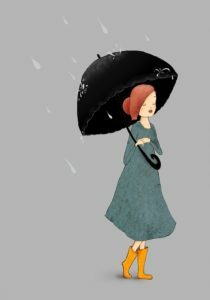 When you do wash your hair, because indoor heating can be very drying to the hair, it’s very important that you always use a regular conditioner after each and every wash. I know it can be tempting to skip because it’s quick to just shampoo and go, but using a conditioner after each wash is really going to help keep your hair healthy. This one naturally follows the advice on not stripping away all the oils from your hair. But inevitably we do have to wash our hair, otherwise, it’ll get all greasy and smell, and that’s not good either! So there are various products which you can buy or even use around the house which will help hydrate your hair. 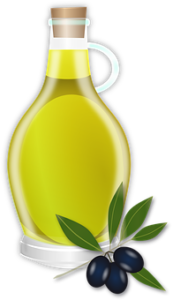 You can use olive oil on the hair, mainly around halfway down the hair shaft towards the ends. 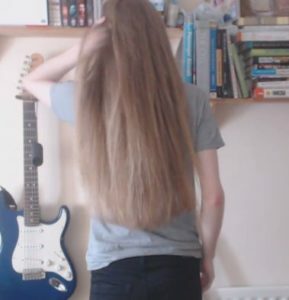 If it’s just the very ends of the hair that are mostly dry, then you can just coat them with some olive oil and leave for a while and then wash it out with your regular hair shampoo. How long you leave the olive oil in the hair is entirely up to you. I often leave it in my hair for an hour or so and then wash it out. One of the reasons I personally don’t leave it any longer is because olive oil can sometimes cause my skin to break out, but I’ve spoken with other people who use olive oil without a problem. A very popular oil that many uses to help nourish the hair. It has fatty acids which help moisturize and keep the hair soft and silky to prevent hair from becoming brittle and developing split ends in the winter. You can get coconut oil from the store or online (check out this coconut oil mask!). When using coconut oil, apply to the entire scalp and hair, or just midway to the ends. Leave it on for a few hours by trying it up and putting your hair in a cap. Afterward, just wash it out with your regular shampoo and conditioner. How often should you deep condition? I’d recommend that you use these heavier oils at least once a week or once every two weeks to keep your hair in good shape. Some people produce very little oil on their head, and this means they don’t have to wash that often. 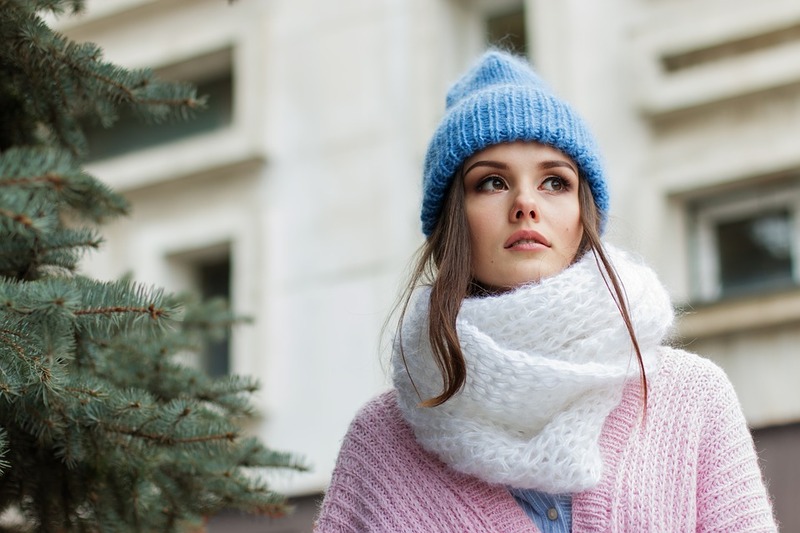 This might sound great until you realize that the same people are more prone to developing scalp conditions in the winter from excessive dryness. This can result in dandruff, itching of the scalp, hair pulling, inflammation, and also in severe cases leads to hair loss. A scalp mask will help alleviate dryness, remove dead skin and put oils back into the scalp. 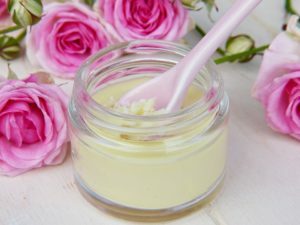 There are many different masks you can buy or you can even create your own DIY mask by using ingredients such as coconut oil, honey, and aloe vera. A good hair mask that I recommend is by Majestic Pure Cosmeceuticals. And who doesn’t love the smell of coconut? Spend some time to massage the oil or mask into your scalp and increase blood flow to the scalp. My recommendation normally is to allow your hair to be free and not to wear any hairstyles which could damage it. 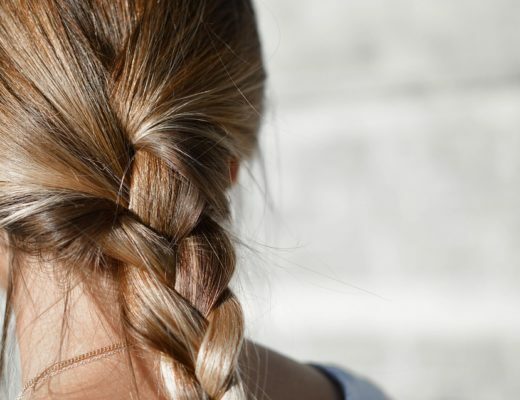 However, during the winter, I would recommend braiding or tying your hair up so to keep it from getting all tangled and breaking from the strong winds and harsh conditions. When the hair is more tightly compact it will be stronger and you will prevent damage. Using one of these will help restore normal moisture in the air and help protect your hair from getting too dry and brittle. It will also help reduce static in your hair as well. Heat tools whether it be styling tools like hair straighteners or hair dryers can damage the hair more in the winter. I would recommend limiting the use of these if possible, but if you must use them, then always be sure to apply the advice above and to use a good heat protection spray. All of these tips are very much common sense, but it’s easy to get a bit lazy and not adhere to proper hair care. As long as you can maintain some decent hair care routine this winter, you’ll be fine. Growing long hair in the winter can be more difficult and it’s this time that our hair care is most important. You have time to be a bit lazier in the summer about it, but right now, give your hair the love it needs and it’ll be looking gorgeous by the summer.